I have just finished reading Come Back, Como by Steven Winn. I thought that since it is a dog book and this is a dog blog that I should write a little something about it. The book tells the story of Steven, his wife and his daughter welcoming man-hating rescue dog Como into their lives. It follows the trials and tribulations of the settling in period with a dog and also highlights the truth. The truth is that not all dogs are easy, well adjusted canines that will fit your expectations of what a dog should be. In fact, as Como shows in the book, sometimes you just have to accept a dog for who they are, and lose any preconceptions you had. Steven is an award winning journalist, and certainly has a flair for telling a story. You really feel like you are there from the beginning with the family, learning what Como is all about, and adjusting to suit. Parts of the book are heartbreaking. Most dog owners will empathise and sympathise; the frustrations and despair that comes from a lack of bonding, and the one step forward, three steps back syndrome that seems to follow progress around. I found the end of the book a little bit laggy but overall it was a good, lighthearted read. If you are looking for something to take away with you on holiday then you could give it a go. You can read more about the book, the family and see more pictures of Como on the official website. 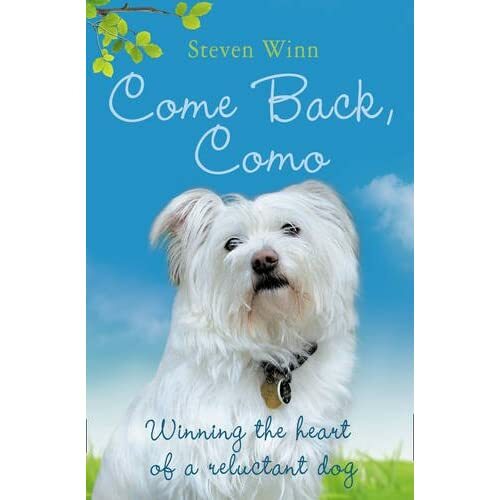 Come Back, Como by Steven Winn is available from Amazon for £5.